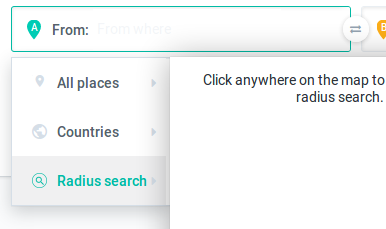 I'm a big fan of the flight search engine kiwi.com but there is one feature of it that annoys me over and over. 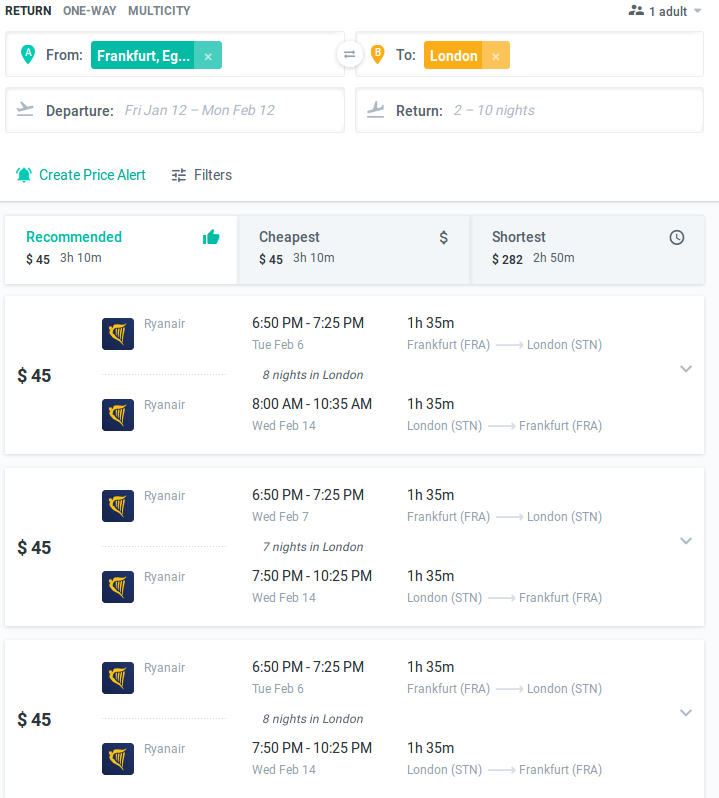 When I specify as departure airport FRA (Frankfurt International Airport), I am getting suggestions also from HHN ("Frankfurt" Hahn, a cumbersome 2h bus ride from Frankfurt city center and served mainly by Ryanair). How can I turn this off? I am not selecting Frankfurt (the city), where this might be justified. This feature/bug does not exist for say Rome: when I select FCO, I am not getting any flights out of CIA just as expected. Click somewhere near Frankfurt International on the map. It will give you a ridiculously big radius including half of Germany. If you scroll to the edge of the radius, it has handles to resize the radius. Use those to make the radius small enough to only include FRA but not HHN. There you go, your results will only include results from FRA. It's not very intuitive. 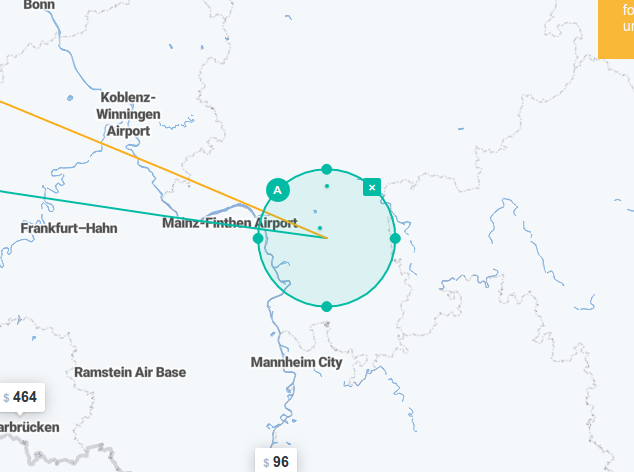 If you click directly on FRA on the map when using the radius tool, it will change back to searching for FRA instead (including HHN). So you have to click somewhere close to it instead. Not the answer you're looking for? 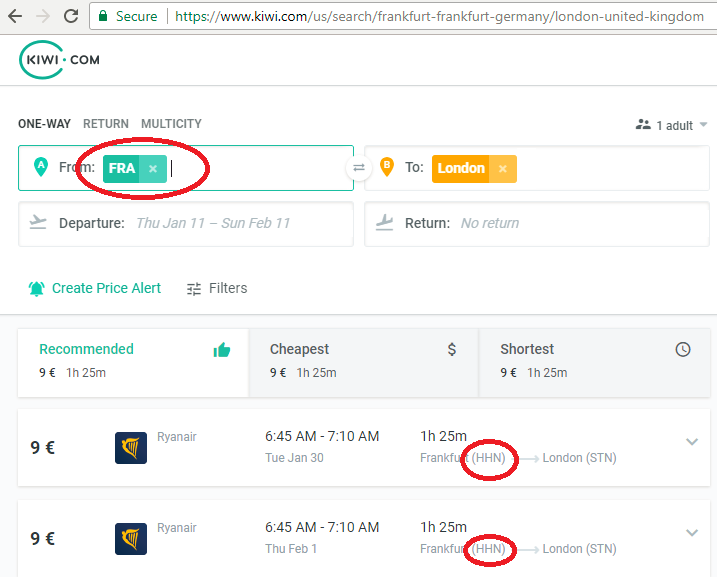 Browse other questions tagged air-travel online-resources planning flight-search-engines frankfurt or ask your own question.